Columbia River Ken Onion Swindle Plain Edge K240XXP. This is the exciting Swindle, designed by world renowned Knife Designer Ken Onion. It features a slightly upswept blade measuring 3.2 inches that moves easily due to the smooth IKBS™ pivot system. It has a flat, smooth handle made of 2CR13 Stainless Steel and the frame lock mechanics and flipper style opener tuck away neatly inside it. This knife perfect in every way! 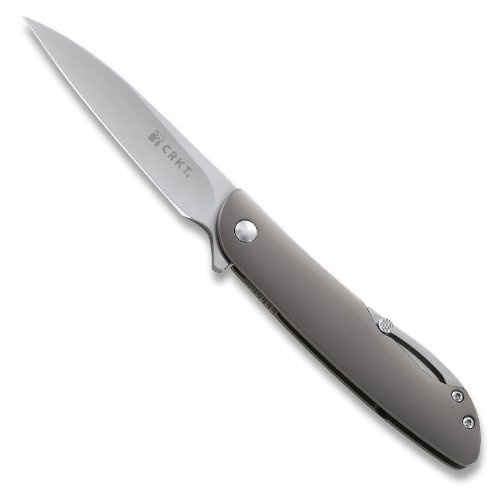 Do you own Columbia River K240XXP Ken Onion Swindle Plain Edge? Tell us about it! Have a question? Ask!